Knížka s otvory a velikým motýlem v 3D provedení na poslední stránce. 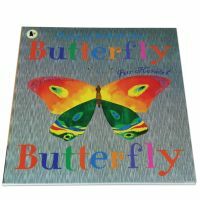 Peep through holes with Lucy to discover all the coloured insects in the garden in this radiant picture book with a pop-up surprise! In this inventive peep-through-the-holes picture book from an award-winning children's book creator, Lucy searches for a butterfly in her garden. 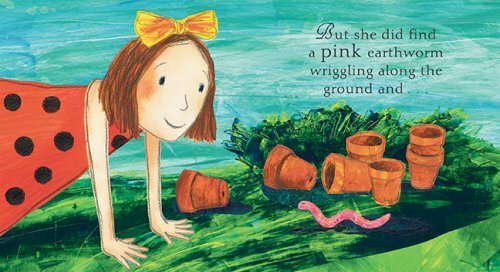 Follow her as she meets a pink earthworm, a brown spider, a red ladybird and many more creatures, and get ready for a delightful surprise – a stunning 3-D butterfly!